What Types of Lawn Grasses Are There to Choose From? If you are starting a new lawn for the first time in your life, it may dawn on you that you have never really considered what types of lawn grasses there are to choose from. Your choice will depend, in part, on what the climate is like where you live. Accordingly, the two broad classes of turfgrasses are the "warm-season" and "cool-season" grasses. While these terms are most typically used in North America, information about these grasses and how to use them is also applicable to other locations that have corresponding climate conditions. While we sometimes think of this topic mainly in terms of two disparate regions (the North and the Deep South), there is also what's called the "Transition Zone" between those two, stretching roughly from southern Pennsylvania to northern Georgia. This is an in-between region. 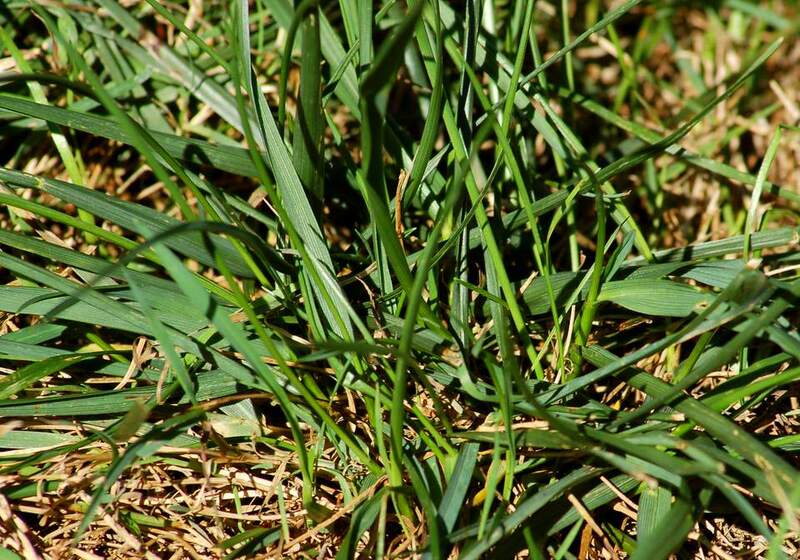 Tall fescue is a particularly tough cool-season grass that can survive in the Transition Zone. Meanwhile, among the warm-season types, Bermudagrass, centipedegrass, and zoysiagrass are cold-tolerant enough to be grown there. Despite their name, warm-season grasses are also sometimes grown in regions that must endure cold winters. Just remember that, once the frosts of fall arrive, their blades will turn a color ranging from brown to light tan. As with all plants, each type of grass has its pros and cons. You will have to research these pros and cons to make a decision, just as you would in the plant-selection process for landscape plants. As an example, we can compare St. Augustinegrass and zoysiagrass. It is one of the best kinds of warm-season grass to grow in a location that has shade (in fact, St. Augustinegrass profits from a spot that offers dappled shade). You do not have to mow it much. It does not hold up well to foot traffic; for high-traffic areas (including areas where you keep a dog), grow Bermudagrass, instead. It is another warm-season grass that tolerates shade. It is more salt-tolerant than many kinds of grass. Like St. Augustinegrass, it is not good for high-traffic areas. It is not tolerant at all of wet areas; for areas constantly damp, grow carpetgrass, instead. In the case of cool-season grasses, we will compare Kentucky bluegrass and creeping red fescue as an example of what issues you should be considering when trying to choose a cool-season grass. It is considered one of the loveliest lawn grasses, the blades having a dark color to them that accounts for the "blue" in the common name. It also sports a soft texture that makes it pleasant to tread upon barefoot, in contrast to the rougher texture of tall fescue, in particular. It holds up well to foot traffic. It is not at all drought-tolerant. It has some shade tolerance. It is one of the most cold-tolerant lawn grasses. It is prone to developing thatch. It is intolerant of foot traffic. Do not forget that, in addition to lawn grasses, there are also "ornamental" grasses. Ornamental grasses can also be classified according to warm-season and cool-season kinds. What Are Some Common Cool Season Grasses?